Is that caramel chips and chocolaty drizzle? 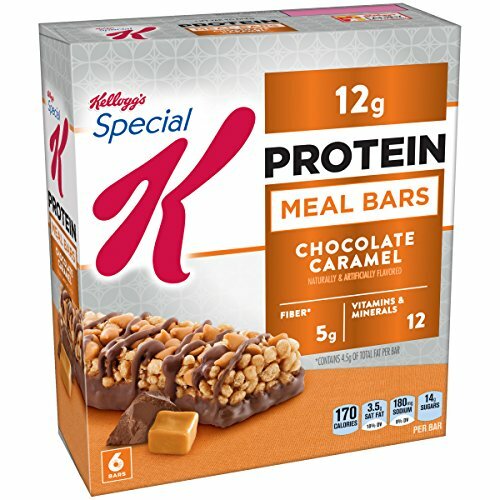 Special K Chocolate Caramel Protein Meal Bars are a revolutionary confectionary role reversal of delicious proportions. 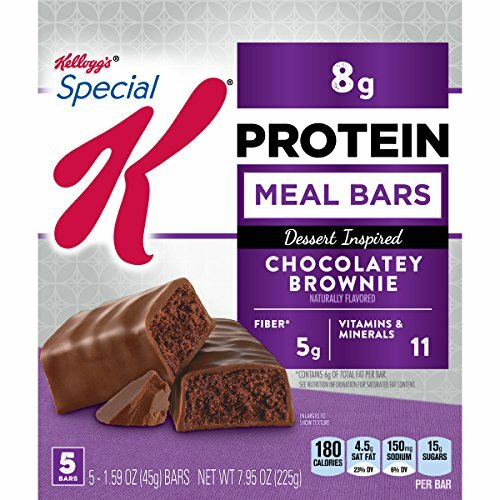 Kellogg's Special K Protein Bars - Chocolate Brownie - 7.95 oz. If it looks like a brownie and tastes like a brownie, why isn't it one? Because it's a Special K Chocolatey Brownie Protein Meal Bar, that's why. With a heavenly soft center dipped and covered in a thin chocolatey coating, it's simply divine and has protein to boot. And it's absolutely brownie-like. 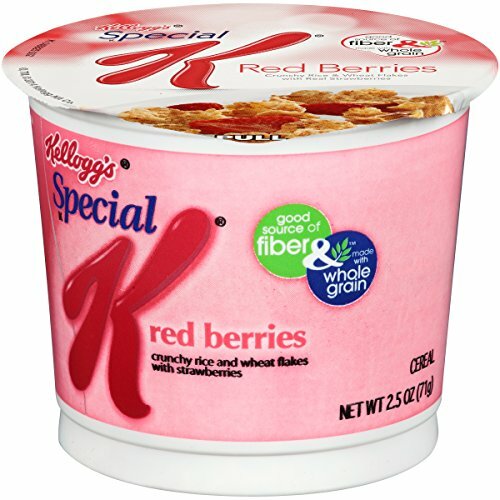 Start your day off right with the simple goodness of Special K Cereal Red Berries—a deliciously crafted, wholesome cereal that loves you back with each healthy spoonful. This filling cereal is bursting with real strawberries and made with lightly sweetened rice and wheat flakes to energize you for the day ahead. Just as nutritious as it is delicious, this breakfast cereal is made with whole grain, is a good source of fiber, and contains essential vitamins and minerals to help keep you going strong. Each portable cereal cup lets you take a deliciously satisfying meal or snack with you wherever you go. Whether you enjoy your cereal at home, work, school or the gym, you'll love that there's no mess or dish to clean up. Go ahead–pop the top, pour over your favorite milk, and enjoy Kellogg's Special K Red Berries cereal that lets you feed your strength with each irresistible bite. Naturally and artificially flavored. The meal replacement bar that helps you stay on track. 10 g of Protein. The Special K Protein way to stay on track and help manage your weight loss goals. 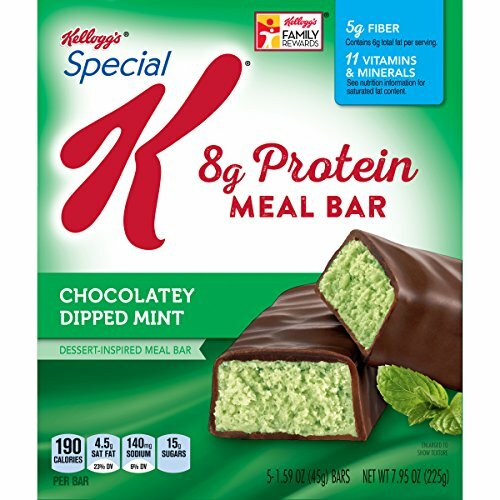 Take a bite into the dessert-inspired Special K Chocolatey Dipped Mint Protein Meal Bar and enjoy the soft center dipped and covered in a thin chocolatey coating, while the minty taste takes it to another level. And with protein and fiber, there's nothing to feel guilty about. Dessert craving, consider yourself indulged. 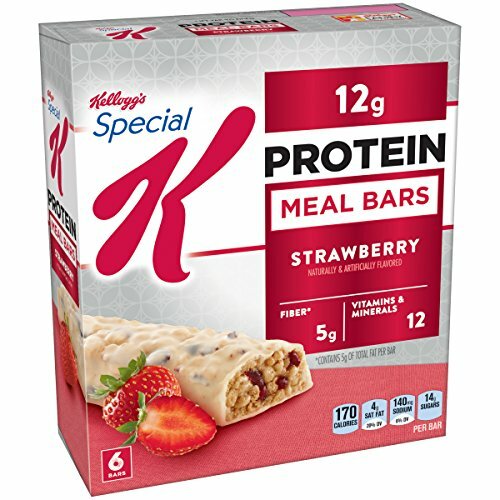 Start your day off right with Special K Protein Breakfast Cereal. Deliciously crafted, wholesome cereal that loves you back with each healthy spoonful. This filling cereal is a satisfying medley of crunchy rice, soy, and wheat flakes that's sure to energize you for the day ahead. 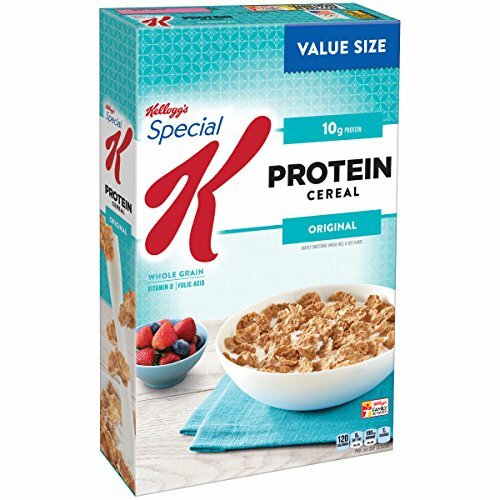 Just as nutritious as it is delicious, this breakfast cereal contains 10 grams of protein, whole grain, and essential vitamins and minerals to help keep you going strong. 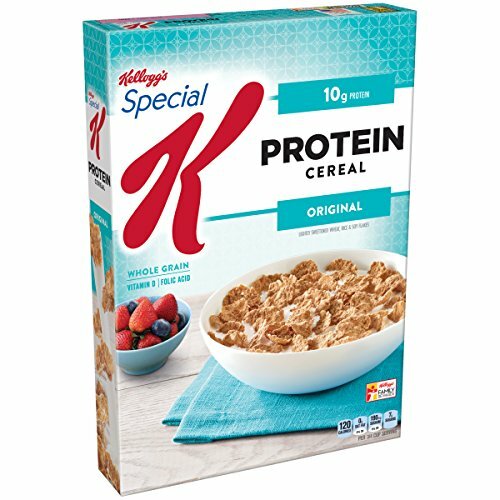 Whether you enjoy a bowlful at breakfast time, add it to your yogurt for a snack at the office, or enjoy it straight from the box after your workout, Kellogg's Special K Protein cereal lets you feed your strength with each irresistible bite. 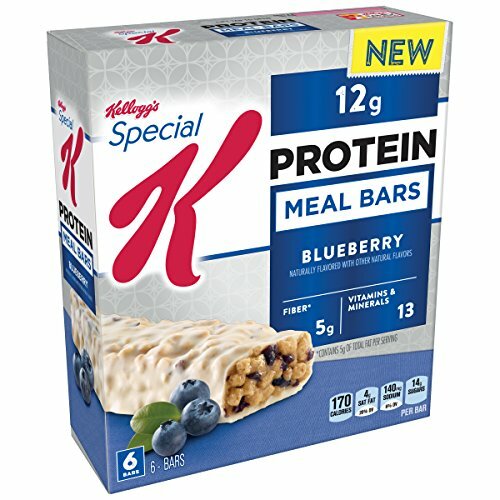 With 12 grams of satisfying protein and 5 grams of fiber, tasty blueberry special k protein meal bars can help you get the shape you want. Bite into the crisp crunchy rice goodness and discover blueberry flavored fruit pieces all wrapped in creamy coating. 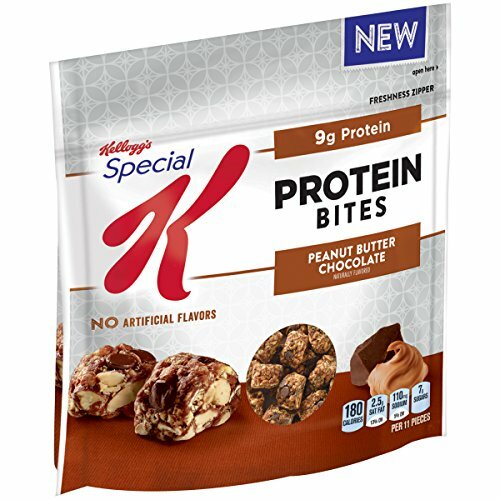 Peanut butter and chocolate are a match made in heaven, and now you can get your fix with our protein bites! It's the great taste you love without any artificial flavors. 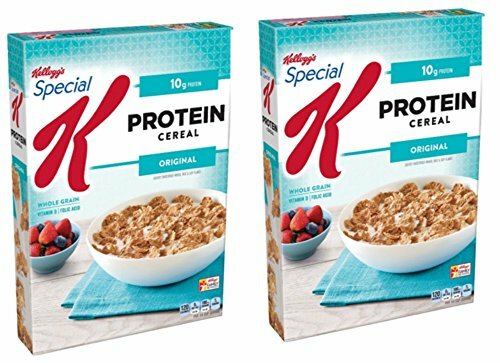 Compare prices on Cereal Special K Protein at ShoppinGent.com – use promo codes and coupons for best offers and deals. Start smart buying with ShoppinGent.com right now and choose your golden price on every purchase.